Hyundai Motor’s high performance vehicle i30 N set a new monthly sales record in Europe last month, the company said Sunday. The carmaker sold a total of 907 units in September, further raising the sales performance of the vehicle, which debuted last year. The figure takes the total for this year to 4,678, surpassing its annual goal of 2,800. Riding on the popularity of i30 N, the company expects to raise its brand reputation and improve the quality of other vehicles under Hyundai marque, officials added. 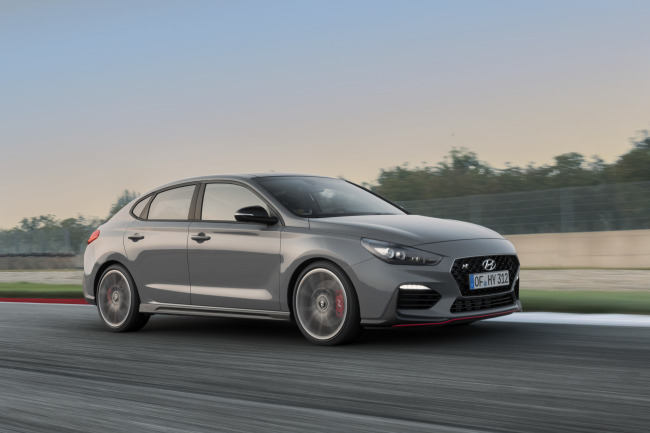 A fastback version of i30 N was unveiled at Paris Motor Show held earlier this month, as part of the company’s plan to target the growing market of high performance cars. It also plans to launch its i30 N Line model in the domestic market this week. It has launched the high-performance Veloster N model recently, while promoting i30 N line first in Europe. The first amateur racing competition will be held for Veloster N drivers in the spring, to promote the interest in motor sports in South Korea, the company added.